A Kool deck is a kind of poolside concrete that is designed to absorb the heat and make walking around the pool on a hot day more comfortable and safer. While there is no way to use a traditional stain on a Kool deck, there are several different options for painting the deck to coordinate with nearly any poolside color scheme while adding durability to the surface. There are two different kinds of paint stains that can be used to seal, protect and beautify the appearance of your Kool deck. The company that first invented the Kool deck system, Mortex, offers several different paint colors and coating specifically for use with their Kool deck systems. This paint is known as Systex paint. The paint is designed to withstand weathering and high moisture content. However, the paint is not designed for underwater use. Other companies also make paint stains that are compatible with the Kool deck system. An ADC acrylic deck coat is another option. This system offers the same benefits as the Systex paint. However, it is not compatible with concrete sealers. Proper preparation is essential to the adhesion of the paint to the concrete surface. If you are unsure if a concrete sealer has been applied to your Kool deck, consult with a professional before proceeding. First clean the concrete with a solution of soap and water. Use a pressure washer to spray the entire surface of the kool deck. 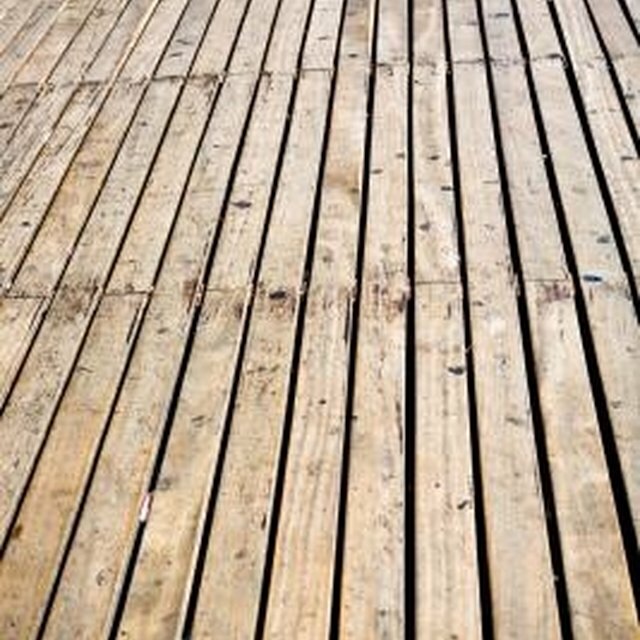 When the deck has dried, apply a solution of 15-20 percent muriatic acid to the surface of the Kool deck. This solution will not damage the effects of the cooling system. Muriatic acid can be purchased from pool supply stores. Use a tri-sodium phosphate and water solution to rinse away the acid. Allow to dry somewhat before applying the paint. The surface can be a little damp when painting begins. Select a weekend that is forecast for fair and clear weather to begin the project. Check the weather forecast and ensure that the temperatures fall in the recommended range for applying the paint. The temperature should be between 50 and 90 degrees F. However, the paint adheres better with temperatures on the cooler side. Use a 3/8 inch or smaller nap roller. Roll the paint onto the surface in thin coats. Wait four hours between coats. Never use a sprayer to apply the paint to the surface of the concrete. Wait two to four days before walking on the concrete, depending on the moisture content in the air.